Israeli Bassist Ehud Ettun, has introduced himself to the international Jazz scene playing with George Garzone, Fred Hersch, Danilo Perez, Donny McCaslin, Anat Cohen, Donny McCaslin, Eli Degibri and others. 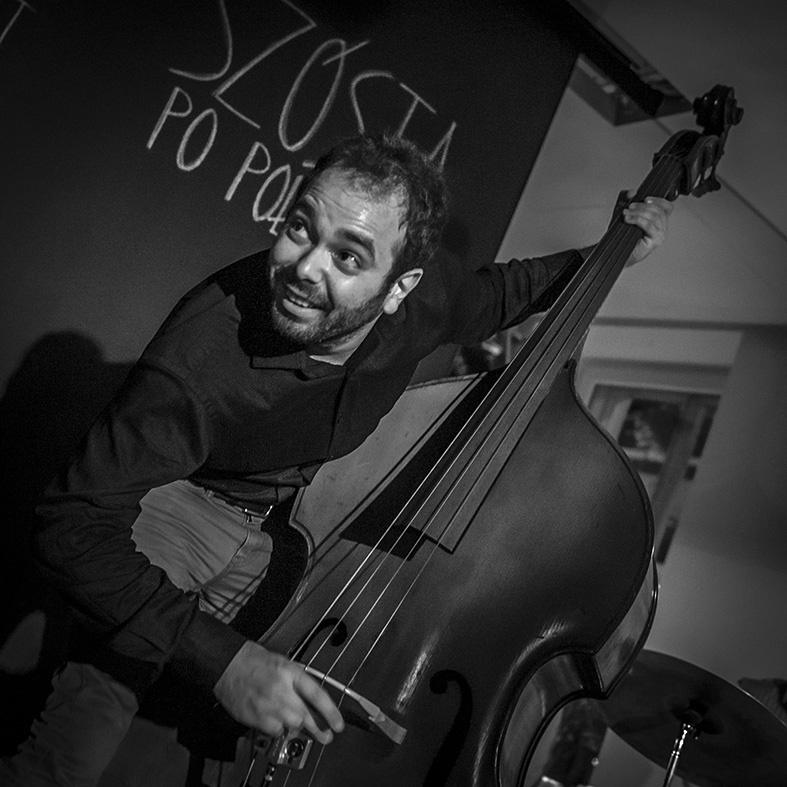 He is known for his unique approach to the upright bass as a melodic instrument, and not only as a bass instrument. His uniquely developed techniques, make him on demand bassist all around the world. He has performed in venues ranging from Blue Note, New York, to Kennedy Center in Washington DC, and concerts and festivals in Europe, North America South America and Asia. In recent years, Ehud started developing his own trio sound having had toured the world performing in New York, Toronto, Boston, Poland, Germany, Serbia, South Korea and more. The trio is creating music that is influenced a lot by modern jazz and continues the tradition of musicians like Chick Corea, Carla Bley, Brad Mehldau, Ray Brown, Charlie Haden and others. In addition to the trio work, Ehud Ettun is collaborating with pianist Bert Seager in various projects, including his most recent album “The Why” (2015), with Haruka Yabuno on the Yabuno Ettun Project, and with other musicians around the world. Ehud Ettun is also the artistic director of Internal Compass Music, and leading various projects in Jerusalem and worldwide.